This CompBenefits Health Insurance Company Review details information about Roswell, Georgia-located CompBenefits Corporation. The company’s focus is the marketing and sales of dental and vision benefits health insurance programs. The company’s clients include both individuals and their employers. CompBenefits works with employers of all sizes. Approximately five million people belong to its network of approximately 21,000 dental practices. CompBenefit’s “CompSave” programs include PPO, HMO, and discounted service plans. VisionCare helps members save on eye exams, eye care, reading and corrective eyeglasses, contact lenses, and other services. In 2007, health benefits giant Humana acquired CompBenefits. Take a moment now, while you are thinking about health insurance rates, to request no-cost health insurance quotes—just type in your zip code to request health insurance quotes today! If you are considering CompBenefits as a health insurance provider, take another moment to learn more about the company. Then decide if CompBenefits Corporation’s products and services match your needs and goals. 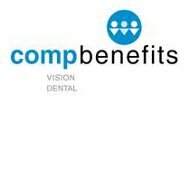 All of CompBenefits dental programs introduce members to a special network of periodontists, oral surgeons, endodontists, prostodontists, and orthodontists. You may choose from dental health maintenance plans (DHMOs), including the C Series DHMO or CS Series DHMO. Offered as an employer or privately purchased benefit, belonging to a dental HMO reduces the costs of necessary dental care. Advantage Plus plans work as traditional dental insurance. The member pays a co-pay for office visits and shares the costs of dental services and treatments. PPO Plans work similarly to traditional dental insurance, with extra potential savings to members when they select dental care providers within the CompBenefits network. Savings of up to 30% may apply when members choose a dentist or oral surgeon from the network. Discount plans, a low-cost alternative to reduce the costs of dental care, enable members to reduce dentist costs from 20% to 50%. Scheduled plans are also a low-cost alternative aimed at reducing the costs of dental care. Members are reimbursed at known amounts for specific dental care and procedures. The member must pay the dental care costs in full and submit for reimbursement under the program specifics. Similar to the dental savings and insurance programs offered by CompBenefits, members may select any licensed professional. Additional savings apply when members select doctors and providers within the CompBenefits network. Rather than take the company public (for approximately $150 million) to liquidate their holdings, a privately arranged acquisition of CompBenefits occurred instead. Humana wanted to expand its vision and dental insurance offerings and CompBenefits’ acquisition benefited both Humana and CompBenefits. Humana ranks #73 in the most recent Fortune 500 list of U.S. companies. At fiscal year-end 2010, the company generated gross sales of $33.87 billion, and one-year sales growth of about 9.39%. Net income for 2010 was approximately $1.1 billion, or net income growth of about 5.74% (2010 vs. 2009). The company has total assets of about $16.1 billion and a market value of about $13.4 billion. CompBenefits uses a national network of independent insurance agents and brokers to sell its products and services. In order to receive approval to sell CompBenefits products, interested insurance brokers and agents should visit the CompBenefits website for more information. The first step to receiving Humana appointment to sell its CompBenefits plans requires contact with a local sales office. Authorized insurance agents and brokers may receive updated information about commissions generated and earned. At their request, authorized insurance agents and brokers may request Humana to provide direct deposit services. One of the fastest ways to save money on your current health insurance rates involves requesting free health insurance quotes on our website—type in your zip code to begin! Compbenefits provided me with a list of in network approved providers. I contacted a number of these dentists and they related that they do not accept City of Chicago Compbenefits due to difficulties receiving payments. Other listed providers were no longer in business. The few remaining either had negative ratings on the internet or were located very far from home making them nearly impossible to get to. This inaccurate list (bordering on fraud) caused me use a dentist who is out of network. Compbenefits then used a mystery formula to exclude a large portion of the bill and then paid half of the remaining portion. When I asked them how they compute this formula they related that it was based upon a geographic average. I then asked to see the averages as well as the geographic definitions. I was told that they could not provide me with any of the requested information. I asked for a supervisor, placed on hold for a while and then was told that no supervisor was available but that one would return my call. Nobody ever returned my call. I called again, this time asking for a supervisor rather than going through the whole process of explaining again. After a lengthy time on hold I reached a supervisor and related the above. This time I was told that I was probably given the wrong list of in network providers (I was well aware that the list is inaccurate). She further related that I was given inaccurate information in regards to the formula used to compute excluded amounts. She related that it is neither based on averages nor on geography but instead is a contractually driven formula agreed upon by the City and Compbenefits. I again asked to see the formula that dictates portions of bills that are apparently arbitrarily ignored. I was denied and directed to contact the city with any further questions. Questions I would like answered. How do they decide the portion of the bill that they choose to ignore? Is the figure based upon industry standard prices? Geographic based averages? Or compbenefit profitability model driven by denying payments? How can I find in network providers when compbenift either deliberately or negligently fails to maintain accurate and current lists?